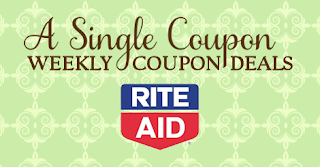 Choose from Rite Aid Ibuprofen, 8oz, or Chewable Tablets, 24ct, Rite Aid Acetaminophen, 2-4oz, Advil, 4oz, L'il Critters and Star Wars Gummy Vitamins, Luden's Cough Drops, 25-30ct, Vicks Vaporizer, 1.5gal V150, or Humidifier Mini VUL25OW. Excludes 3oz Bar and Trial and Travel size. Pictured: Honey Nut Cheerios and Cinnamon Toast Crunch. Choose from Activity Tracker Watch, Digital Camcorder, Bluetooth, Earbuds, or Bicycle Speaker Light. Pictured: Kit Kat, Twix, and Reese's. Pictured: Peanut M&MS, Hershery's Chocolate Bar, Butterfinger, Snickers, and Reese's Cups. Pictured: Life Savers Mints, Swedish Fish, or Twizzlers. Choose from: Simply Saline Nasal Saline Sprays or Orajel Cold Sore Treatment, Smith Bros, Immune or Restore Cough Drops, 20ct, Similasan or Sambucol, 4oz or 30-40ct, Boiron Oscillococcinum, 12ct, Nasalcrom Spray, 0.88oz, or Legatrin PM, 50ct. Includes Drawstring, 13gal/22ct or 30gal/15ct, Quick Tie, 13gal/35ct, or 30gal/21ct. Pet Accessories, Toys, Treats, or Flea/Tick Products. Jessica is a 32 year old wife and work-at-home mom with four children. 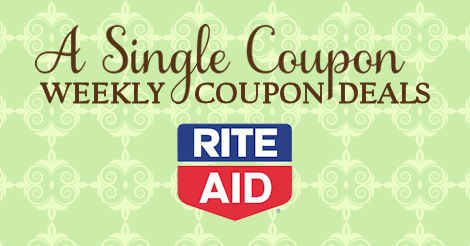 Jessica loves to blog about coupons and anything that saves her family money, specializing in saving at Rite Aid. In her spare time she enjoys crafting, scrapbooking, DIY home projects and spending time with her family.